The Neck (near the top of this photo) is a narrow peninsula that separates Paterson Inlet/Whaka ā Te Wera from Foveaux Strait. Through most of the 19th century and into the first part of the 20th century it was a site of settlement: first of Māori and then mixed Māori and Pākehā. 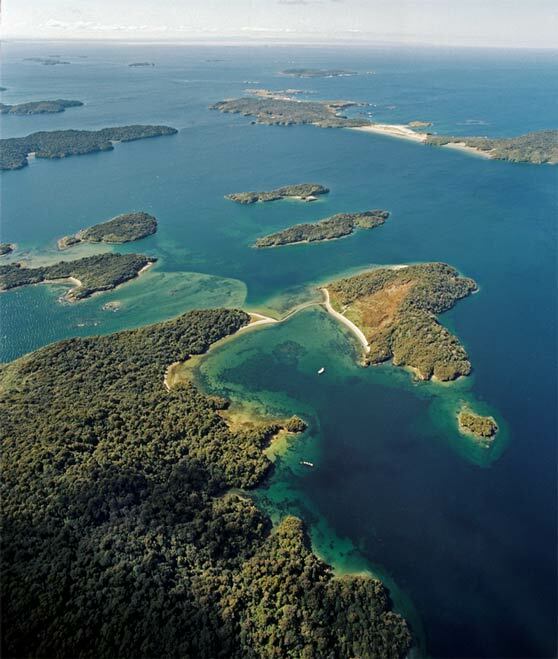 In the 21st century it became part of the newly established Rakiura National Park.